A legitimate argument could be made that this is the age of Marvel superheroes. At least once or twice a year, for the past five years, a grand-scale motion picture event has the names “Avengers,” “Captain America,” “Iron Man” and “Thor," among others, on everyone’s lips. Another name is about to join them. Ladies and gentlemen, may I introduce to you: Doctor Strange, Sorcerer Supreme. Dr. Stephen Strange was a neurosurgeon in Manhattan, New York; extremely gifted, equally as arrogant and interested only in the paycheck at the end of the day. That all changed one night when he was driving home and his car went over the edge of a cliff. He survived, but his career didn’t. His hands suffered nerve damage his fellow peers deemed irreversible, and not content to turn to teaching, Stephen spent every last penny he had in search of a cure. At the end of hope, he heard word of the mysterious Ancient One in the Himalayas in Tibet. However, the Ancient One didn’t offer him a cure for his hands but the study of magical power Stephen had no clue he had. It took some convincing—a sinister attempt on the Ancient One’s life, no less—but Stephen eventually willingly accepted the offer of magical tutelage and started down the path to personal redemption. Upon the Ancient One’s death, the mantle of Earth’s Sorcerer Supreme passed to Stephen, along with such fabled objects as the Cloak of Levitation (which allows him to fly) and the Eye of Agamotto, a powerful amulet that allows Stephen to see through illusions and across time and space. He now has taken up residence in an ancient mystical brownstone called the Sanctum Sanctorum in Greenwich Village, New York, at 177A Bleecker Street. Doctor Strange is a project that is clearly very close to Marvel’s heart. Various incarnations of film development go back as early as the 1980s but never went anywhere. Kevin Feige, President of Marvel Studios, has said that Doctor Strange is very near and dear to him and that he has been working to bring it into reality since he joined Marvel Studios. On April 4th, 2014, the world heard Stephen Strange’s name for the first time when he is name-checked by Hydra traitor Jasper Sitwell along with others who present a potential threat to Hydra in Captain America: The Winter Soldier. 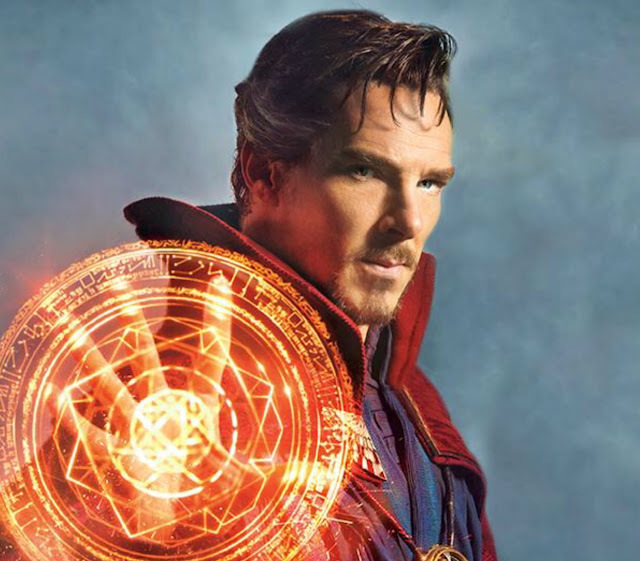 In June, pre-production began with the recruitment of Scott Derrickson to direct and Scott Spaihts to rewrite and fine-tune the script, and in December, out of half-a-dozen names Benedict Cumberbatch emerged to claim the name of the legendary Sorcerer Supreme. Principal photography started on November 4, 2015 with the start of a weeklong shoot in the breathtaking and picturesque Kathmandu Valley in Nepal, after which production moved to the UK and will eventually include filming in Hong Kong, New York and London. This month, Entertainment Weekly released an issue featuring Benedict in an incredible first look at what Doctor Strange will bring. I came to Doctor Strange somewhat late in my Marvel fandom. Through a cartoon no less: Super Hero Squad. A kiddie cartoon. But for me, Stephen Strange embodied two of the things I love most: Marvel and magic. For me, Doctor Strange was the Harry Potter, the Lord of the Rings of the Marvel Universe. He quickly rocketed up into my top three as I got my hands on comics and plumbed Netflix and YouTube for more appearances. Stephen’s story was one of redemption, actually somewhat similar to Tony Stark’s, but while Tony does have a change of heart, the little bit of arrogance remains ingrained in him. I mean…he grew up the genius son of Howard Stark. One can hardly blame him for that. But Stephen does a complete one-eighty, surrendering his arrogance in favour of selflessness and protecting mankind as the Sorcerer Supreme. But…he still manages to keep a healthy dose of snark. I was a fan of Stephen Strange before the movie rumours were even whispers, so you can imagine my indescribable joy as I watched one of my favourite Marvel characters slowly but surely make his way toward the silver screen. Needless to say, when my Sherlock favourite Benedict Cumberbatch was cast as Stephen Strange I deemed it a match made in heaven. I was on cloud nine for a week. Today, my copy of Entertainment Weekly’s January 8/15 edition—with Benedict’s Sorcerer Supreme on the cover—is destined for my wall, and the brand-new Doctor Strange comic series that began in October has a place of honour in my room. I eagerly await Doctor Strange’s November 2016 release date, but before I go…allow me to leave you with a word from Stephen Strange himself. Will you go see Doctor Strange? Are you interested?